I blame Michael Pollan. Not too long ago my wife and I both read his excellent book, The Omnivore’s Dilemma, and our food consumption hasn’t been the same since. We started thinking more about what we were eating and shopped for foods with simpler ingredients, less processing, and fewer artificial sweeteners and preservatives. One of our favorite new finds was an incredibly delicious loaf of bread with the simplest of ingredients – wheat, yeast, honey, water, and salt – that’s it! It was so good in fact that we initially ignored the $6 price tag as the price of shopping with our values. As we kept eating and our grocery bill kept growing, however, we started thinking of alternatives. 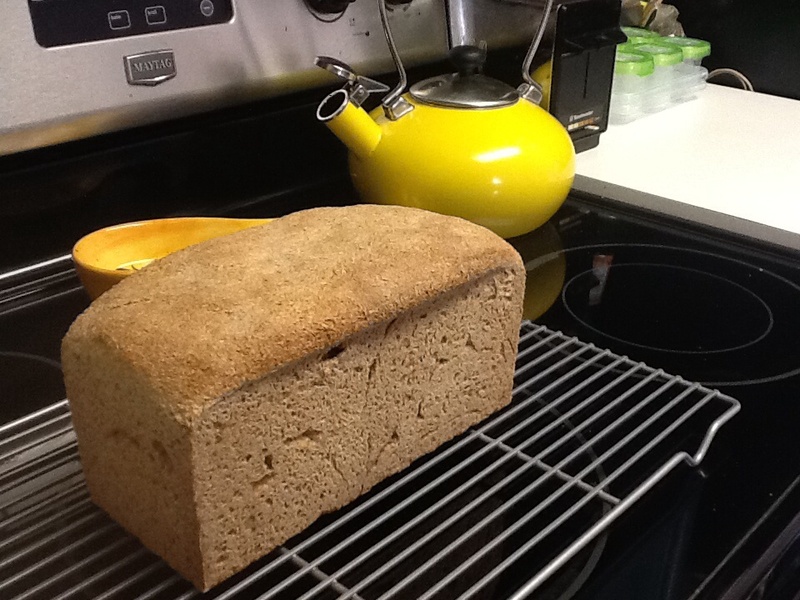 My wife Paula proposed finding a similar recipe online and baking our own bread at home. Success for the wallet and the stomach! Now for the past several months, baking bread has become one of our weekly family traditions. In Jane Jacobs’ Cities and the Wealth of Nations, she brilliantly describes a city’s economic development power as the ability to innovate and imitate. The first of these, innovation, already gets a lot of buzz. Innovation puts human ingenuity to work. Innovation gives cities products and services that can be exported to the outside world, bringing jobs and money to a local community. It’s no wonder then that our economy dedicates millions in higher education and tax incentives to desirable industries in the hopes of becoming hubs of innovation (like Silicon Valley) and producing the next generation of great innovators (like Steve Jobs). But innovation is only one half of the equation, and in my opinion most cities struggle to develop in the modern economy because they fail to recognize or strategize for the second half of the economic development equation: imitation and import replacement. To truly appreciate the importance of imitation and import replacement, let’s first talk a little bit about the basic mechanics of a local economy. In any economy locally produced goods and services are exported to the outside world in exchange for money. That money is then used to import non-local goods and services. A community that is largely self-sufficient and able to produce for its own needs can use this outside currency for economic enhancements and luxury goods. Those communities that don’t have the ability to produce for themselves must rely on outside currency to import the basics for survival. In today’s economy most cities fall into this second category, specializing in their own niche industries and using the money to import everything else. These cities have no choice but to desperately pursue innovation for money and jobs, and as a result, often struggle to get ahead. While imitation and import replacement is not practiced in most cities, we can still find great examples of this strategy in major grocery and retail chains. If you go into many of these stores, you’ll generally find the iconic name brands you know and love – the one’s you identify with and perhaps were out shopping for in the first place. Look right next to it though and you’ll also find the store brand, generally a cheaper imitation product. By building the quality and capacity of its internal store brand over time, the chain is able to keep more of its money in-house. For our family import replacement started with a loaf of bread. In the process, we developed our own capacity and saved some dough (pun intended). This loaf of bread spurred our interest in finding what else we can produce ourselves. We tend a small garden, Paula has started sewing, and I’m hard at work on this blog. We’re saving some money, building new skill sets and enjoying the renewed energy in our home as we find joy in learning how to produce what we once only consumed. We’re only one family and so our efforts can only extend so far, but can you imagine how economically diverse and vibrant our cities would be if they did the same? Imagine an economic development strategy in which cities really dove into their trade balance sheets and aggressively pursued a policy of replacing imports with local alternatives. Could cities produce their own entertainment? From cover bands to local films, the most interesting cities already do. Could cities produce transportation options that don’t rely so heavily on imported oil? In many ways that’s what the bicycle-friendly and urban rail movements are about. What about technology? Can city regions produce their own cars, computers, and technology? Who knows? But I do know this – the most vibrant cities are the ones successfully empowering locals to compete with the outside world, and I want to live in a place that at least tries! This entry was posted in Local Economy and tagged bicycle, bread, cities and the wealth of nations, constantinople, cover bands, currency, imitation, import replacement, innovation, internal capacity, jane jacobs, Local Economy, local food, localism, silicon valley, steve jobs, store brands, technology, venice by Justin Golbabai. Bookmark the permalink.